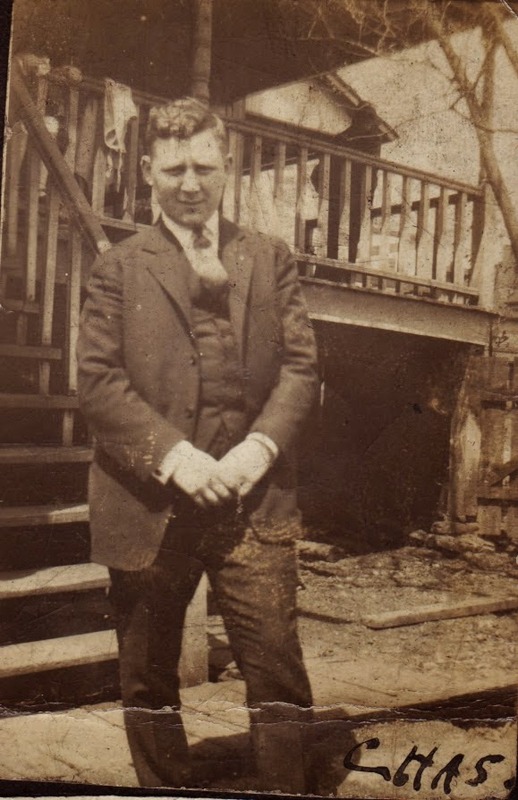 My great grandfather Charles Lowry is looking pretty dapper in a three-piece suit. I can only imagine the color, maybe navy, with a red tie, silver cufflinks, and black shoes. Since the vast majority of the 1,000 Lowry family photos I have are in black and white, sometimes you have to invent the details to add color to life (pun intended). This photo is from around 1921 and was taken in front of the family home in Leetonia, Ohio.